A secondary battery for energy storage can convert chemical energy into electrical energy during discharge and electrical energy into chemical energy during charge. It can repeat this process for thousands of cycles. Table 11-39 shows ranges of specific-energy density for common secondary batteries. A secondary battery provides power during eclipse periods on spacecraft that employ photovoltaics and can also level loads. Secondary batteries recharge in sunlight and discharge during eclipse. The spacecraft's orbital parameters, especially altitude, determine the number of charge/discharge cycles the batteries has to support during the mission life. A geosynchronous satellite needs to store energy for two 45-day eclipse periods per year with eclipses lasting no more than 72 min each day. 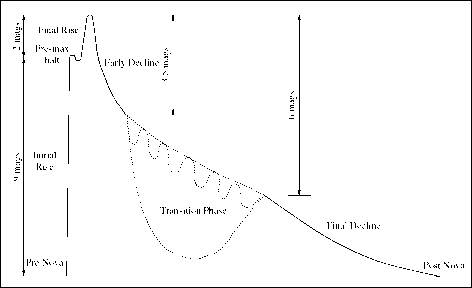 The geosynchronous oibit demands few charge/discharge cycles during eclipse periods, thus allowing a fairly high (50%) depth-of-discharge. On the other hand, LEO spacecraft encounter at most one eclipse period each orbit or about 15 eclipse periods per day, with maximum shadowing of approximately 36 min. Therefore, the batteries must charge and discharge about 5,000 times each year, and the average depth-of-discharge is only 15-25%—much lower than for geosynchronous spacecraft. TABLE 11-39. Characteristics of Selected Secondary Batteries. Though secondary batteries have much lower specific energy densities than primary batteries, their ability to be recharged makes them ideal for backup power on spacecraft powered by solar cells.